The Partiologist: Candy Cane Rudolf! Sometimes it's simple, sometimes it's silly. 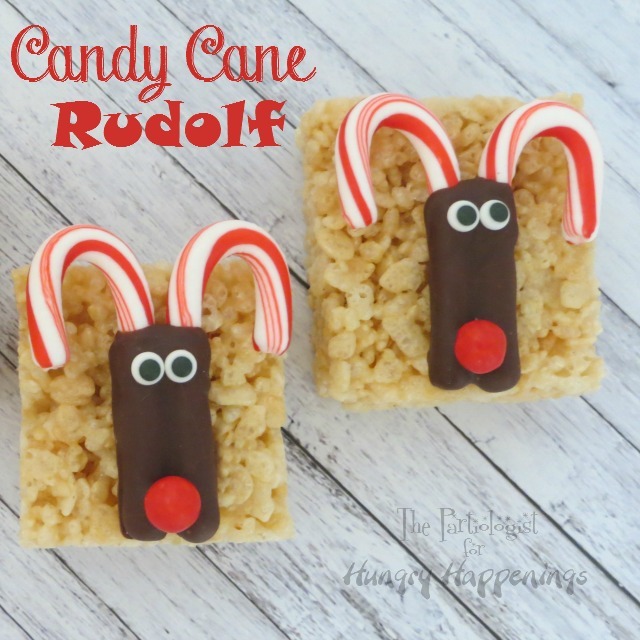 Today, I'm over at Hungry Happenings with a simple AND silly treat to make with your kids or for your kids this Christmas! 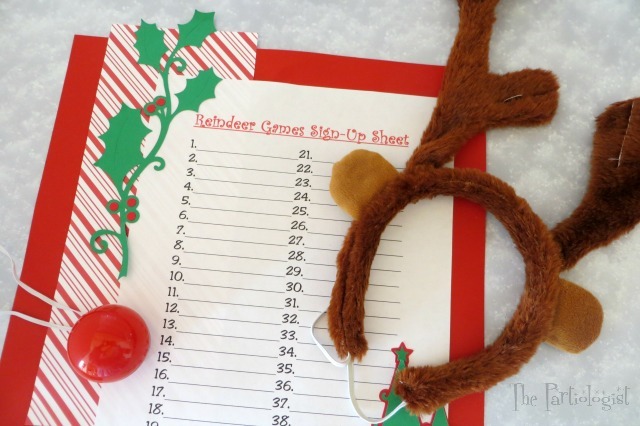 And I just had to use them for a game, you know like Reindeer Games? Yes, I donned some gay apparel (antlers and blinking nose), went around having friends sign up for Reindeer games. With me, they never know what I'm up to. They were a little bit afraid to play, but were happy they did. I drew twelve numbers out of a bowl and that person won a little Rice Krispie Rudolf! Now you must make them for YOUR party. 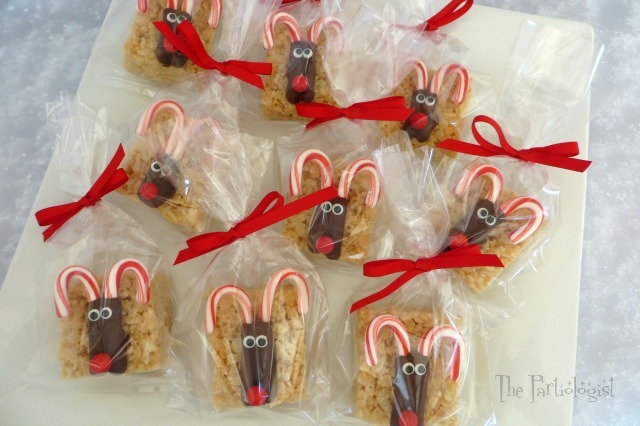 Run, Run Reindeer, right over to Hungry Happenings!